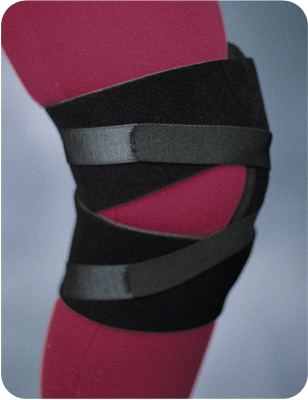 This brace is exactly what I needed. It took me a while to figure out how to use it (I'm not too good with diagrams), but once I did I was very pleased. It is comfortable, but does the job. It isn't too bulky, and I can wear it under my clothes without looking ridiculous. Best of all, with the stabilizing straps, it really does stay in place when you move - I've had others that seemed great, but fell down under heavy walking. And my knees and I are headed for Disneyland in an el nino year, so they will be getting a workout.